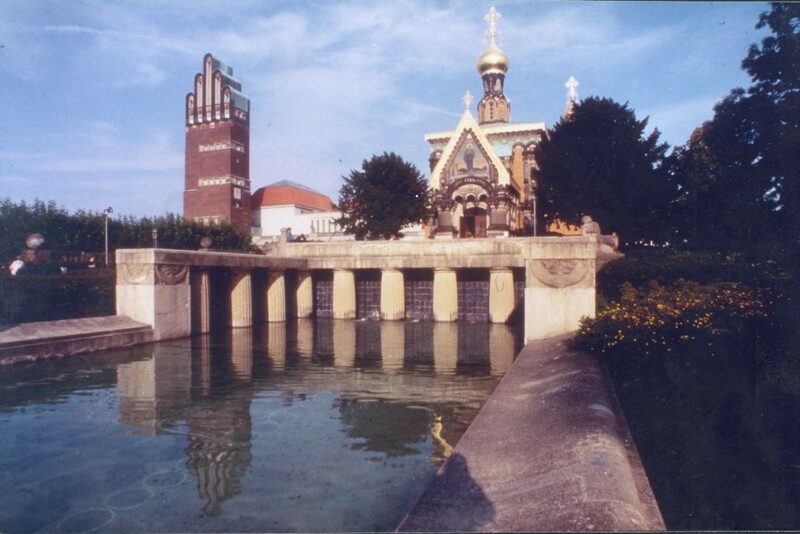 The city of Darmstadt underwent a unique experience at the beginning of the 20th century. 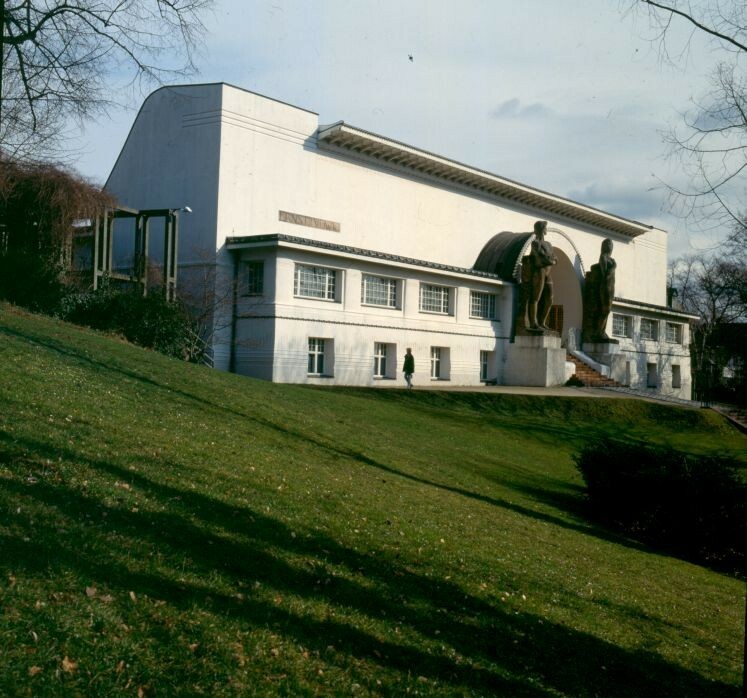 Convoked by the Grand Duke of Hesse, various German and Austrian artists arrived in the city in the aim of establishing a space for creation, an artists' colony, that would become a major centre for the dissemination of the Secession style in both architecture and the applied arts. Ernst Ludwig of Hesse and by Rhine was a highly cultured person who was very familiar with Great Britain, because his mother was one of Queen Victoria's daughters. He wanted to create in Darmstadt the utopia that John Ruskin and William Morris had dreamed of and aimed to promote the production of quality items that combined the concepts of beauty and functionalism. The Duke planned to build the colony in an old park, the Mathildenhöhe, which was gradually urbanised as various exhibitions were organised there in order to promote the colony. The following artists were contracted between September 1898 and July 1899: the painter Hans Christiansen, sculptor and medal maker Rudolf Bosselt, draughtsman Paul Bürck who specialised in editorial subjects - interior designer Patriz Huber, sculptor Ludwig Habich and architects Joseph Maria Olbrich and Peter Behrens. The first task was to build the colony and the two aforementioned architects designed a series of houses and public buildings that were at an ideal halfway point between expressionism and functionality. 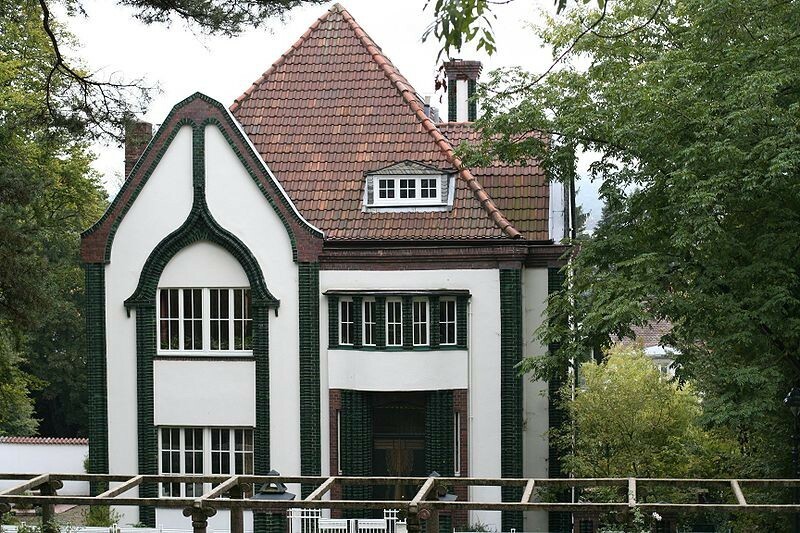 Olbrich and Behrens designed various houses as well as their own homes. Olbrich designed the Exhibition Building (1901) and the Wedding Tower (1908). The Russian architect Nikolai L. Benois, originally from France, designed the Russian church to carry out religious services for the Imperial Family, because Nicholas II had married Alexandra of Darmstadt. The main events of the colony were the exhibitions that were organised in Darmstadt in 1901, 1904 and 1914. Olbrich designed an exhibition hall for the first exhibition, the Ernst-Ludwig Haus, now housing the Colony Museum. 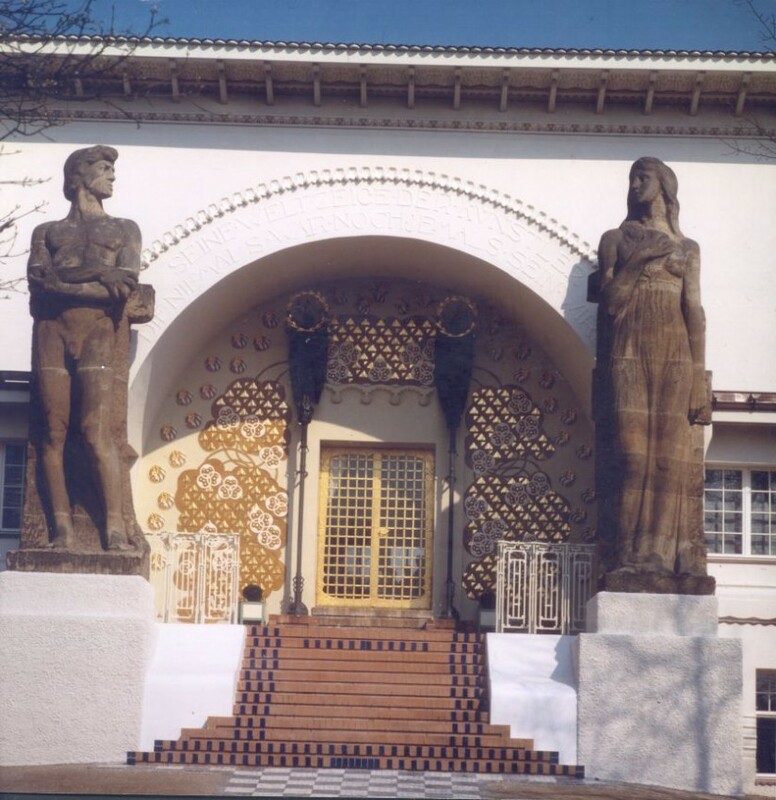 It was also used as a workshop and has a beautiful entrance that recalls the Greek letter "omega", flanked by very primitive sculptures of Adam and Eve by Habich. But the artists' houses are the main legacy of the colony, because of their conception as total works of art. The 1904 exhibition followed along the same lines and even had minor economic success. But after 1914, on the eve of the First World War, the golden age of the Darmstadt colony had come to an end.